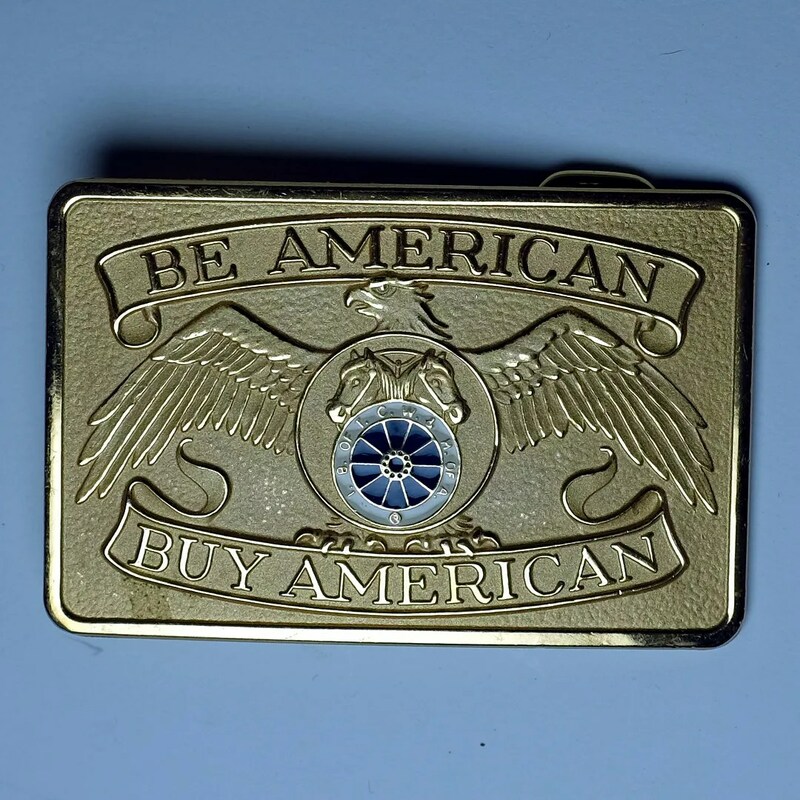 This vintage buckle reads, “Be American Buy American” and has the logo of the International Brotherhood of Teamsters Chauffeurs Warehousemen and Helpers of America in the center of an eagle. The back has a partially obscured makers mark and union bugs. 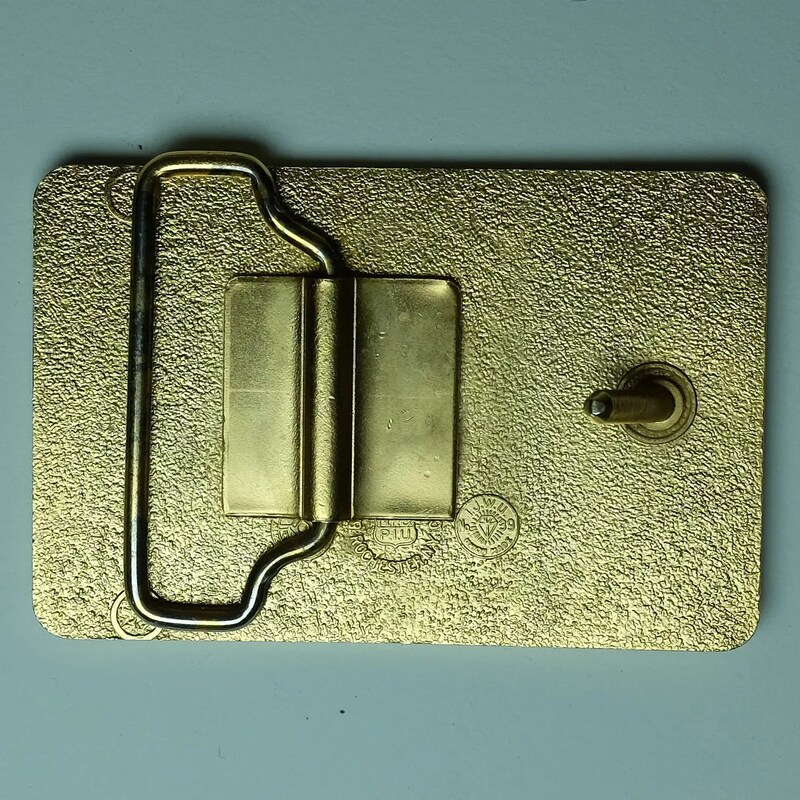 The buckle measures 2″x3″ and fits a 1-5/8″ belt. This entry was posted in Accessories and tagged belt buckle, teamsters, trucker, union by Spencer Stewart. Bookmark the permalink. Do you still have the Teamsters belt buckle with eagle logo?